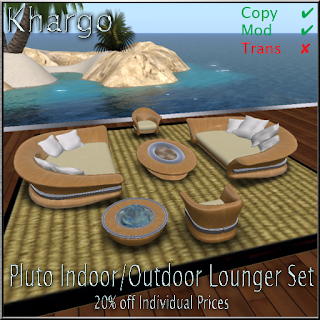 Our newest release is the Pluto Indoor/Outdoor Lounger Set. Created for sitting on a terrace, patio, beach or garden but equally at home in a conservatory, lounge or cinema room - it is a very versatile set. 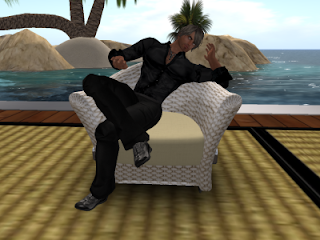 Included in the set is a Couples Lounger, a Singles Lounger, 2 chairs, a table, bubble ball fountain and a mat. It has all the texture and pose changes we love to include - we have a new white wicker texture for this set and some new couples poses. The Pluto Set is on special offer this month on Xstreet or you can buy either the set or individual pieces in our Main Store.